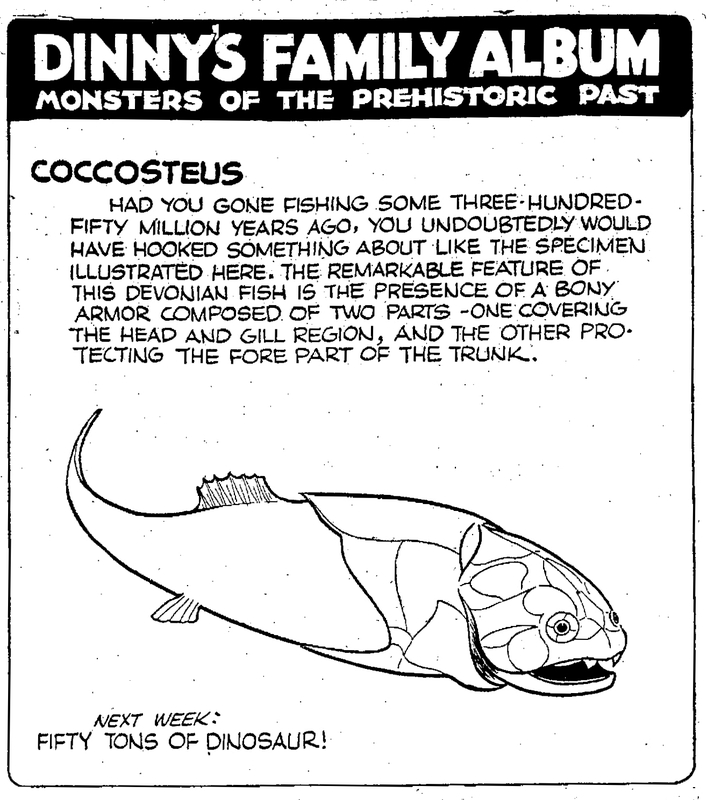 Today we take a look at all the Prehistoric Fish features from 1934-1936. Enjoy! 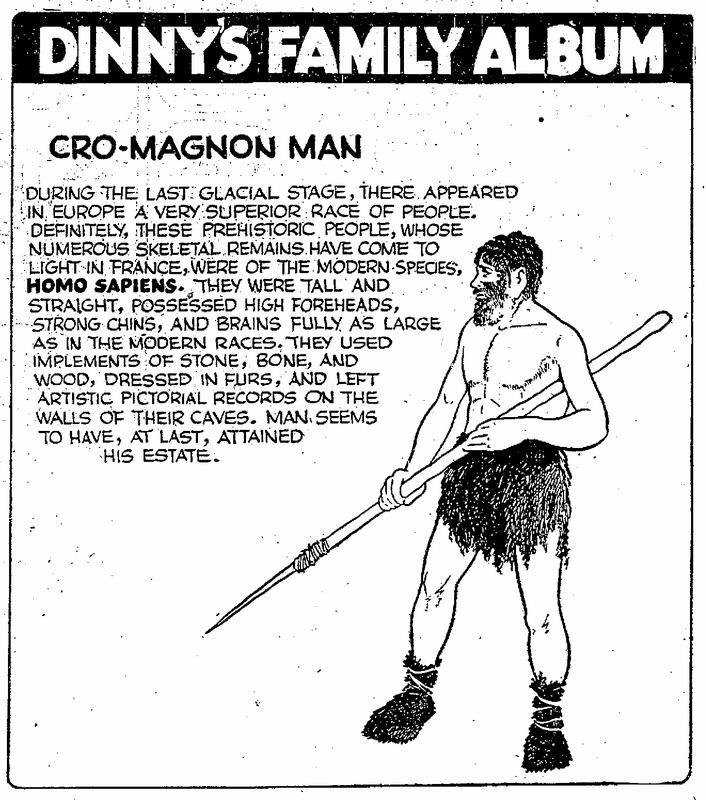 Today we take a look at all the Prehistoric Man features from 1934-1936. Enjoy! 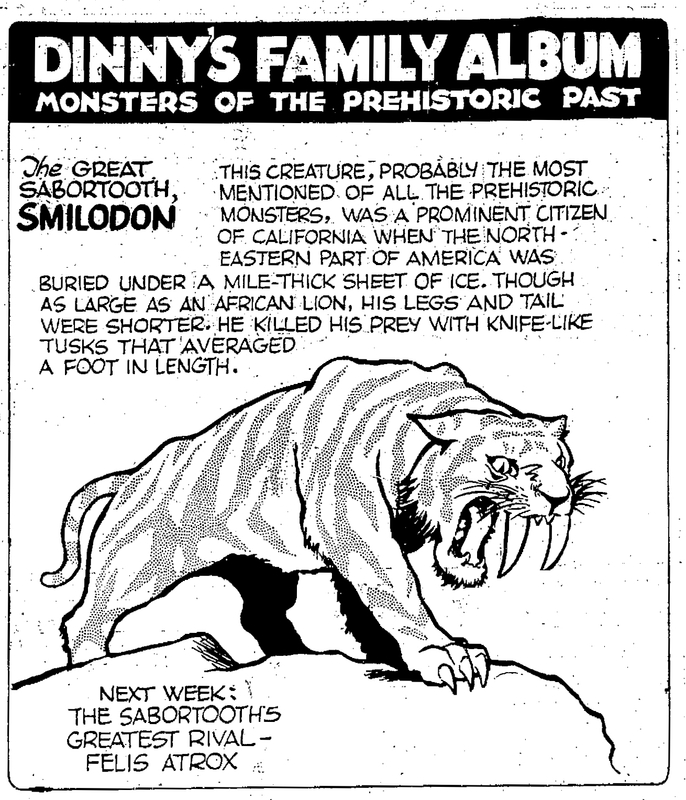 Today we take a look at all the Prehistoric Mammal features from 1934-1936. Enjoy! 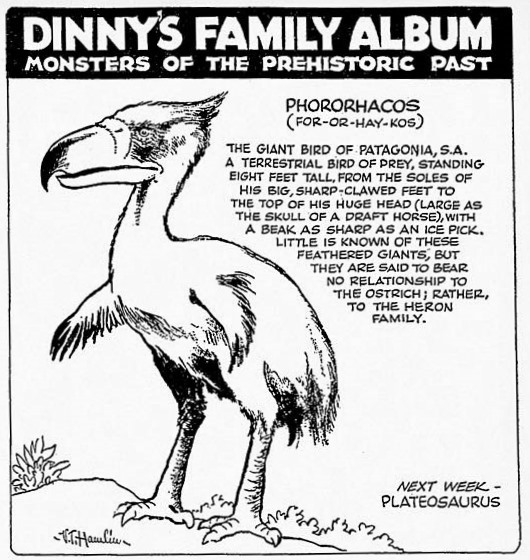 Today we take a look at all the Prehistoric Birds features from 1934-1936. Enjoy! V.T. 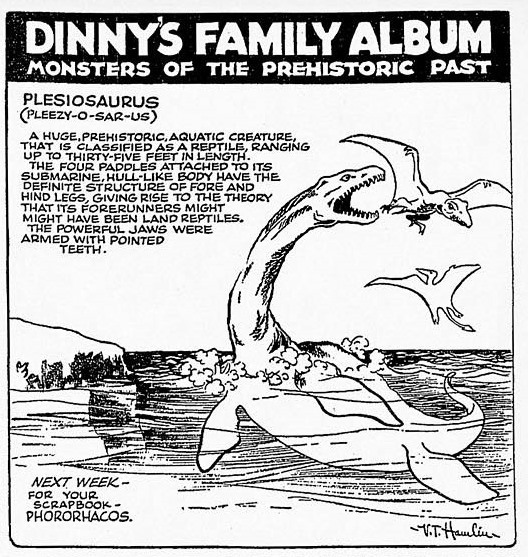 Hamlin’s Fragments: Odds and Ends of Prehistoric Lore! V.T. 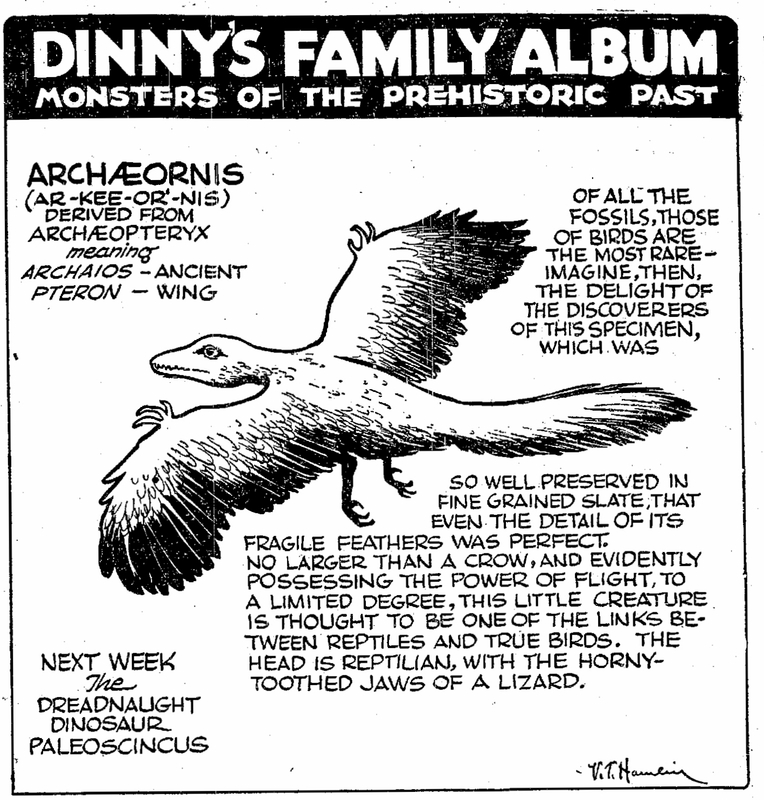 Hamlin included Dinny’s Family Album, an educational dinosaur feature, in his Alley Oop strip for many years in the early 1930s. But alas, all good things must come to an extinction. 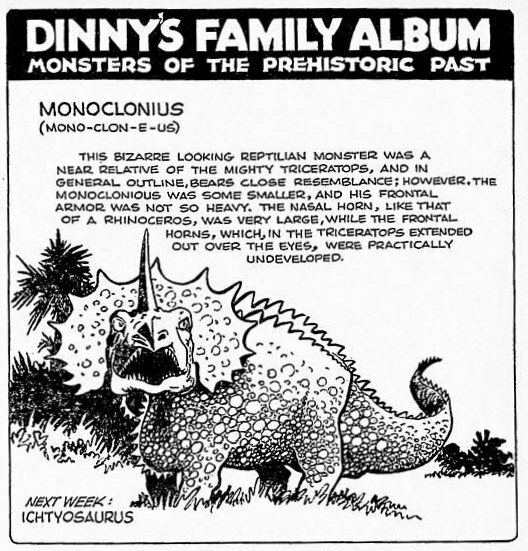 Hamlin subsequently ran a series about prehistoric man: “Fragment’s of Man’s Early History.” It was a decent series, but let’s face it: here on Mars we want prehistoric beasts! From 1938-1939, Fragments became “Fragments: Odds and Ends of Prehistoric Lore.” NOW we’re talking! Let’s rock those dinosaurs, prehistoric mammals, prehistoric birds, and other prehistoric animals. 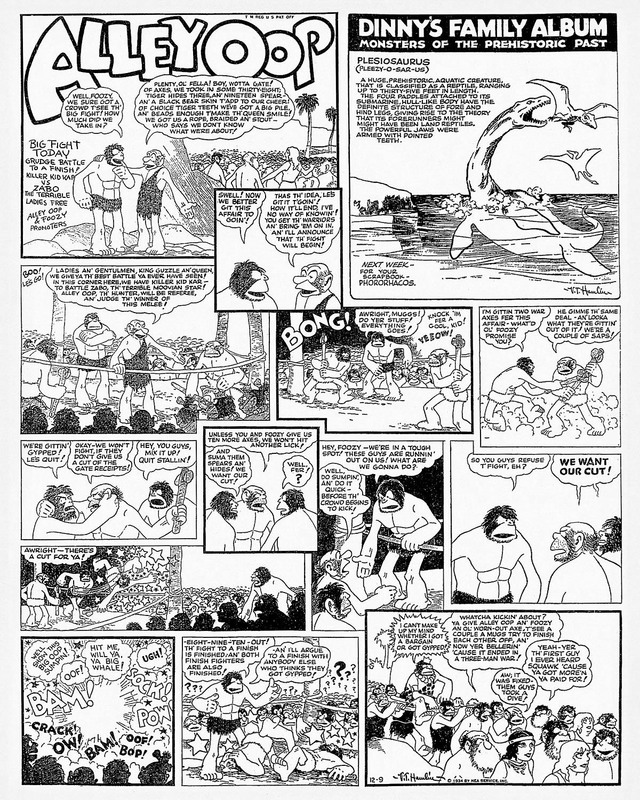 Today we will share with you our collection of images from Fragments: Odds and Ends of Prehistoric Lore. 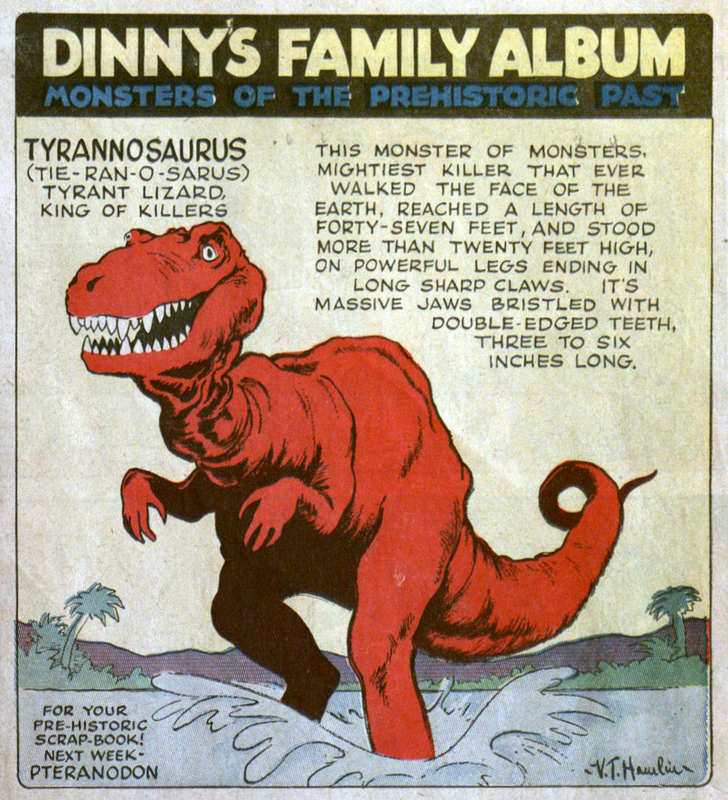 We’re leaving out a few about human pre-history, because, well… DINOSAURS RULE! Enjoy!